Don’t fret…still cleansing. But all this cleansing frees up all the time we’d spend eatingcookingeatingcooking with time for blogging. Texas may be bigger than France, but what they lack in size they make up for in pastry proficiency. I spotted this recipe last weekend and was immediately drawn to a non-pie recipe for Fall’s favorite fruit! 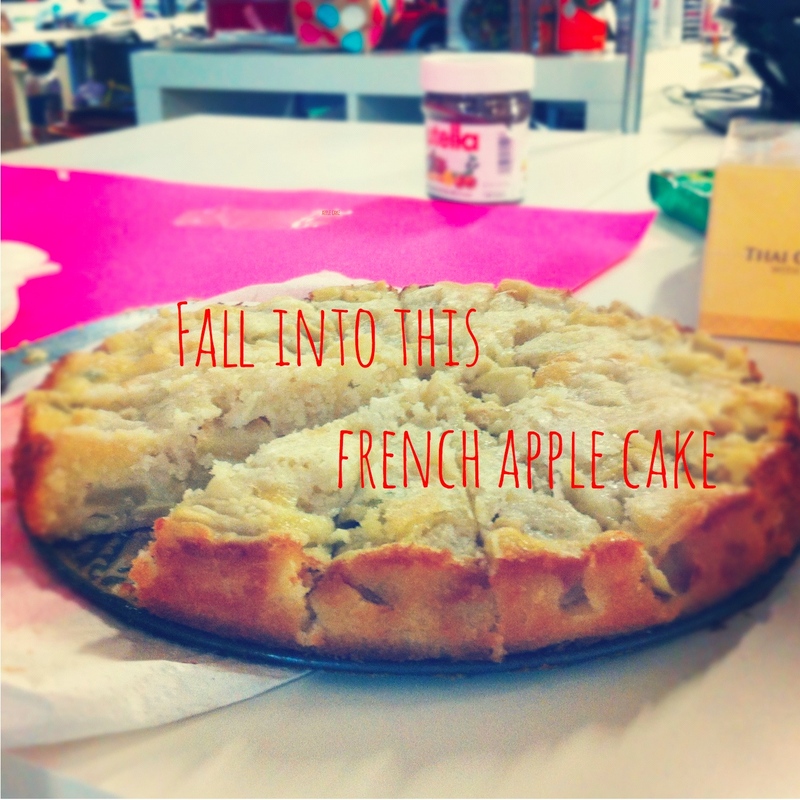 A friend’s birthday was the perfect occasion to give this recipe a whirl in the HungryTexans test kitchen. Weeknight baking begets little time for lots of ingredient scrutiny — without fail I’m missing something and on weeknights seldom have the time or energy to make that second & third trip to the store for the [INSERT MISSING INGREDIENT DU JOUR]. 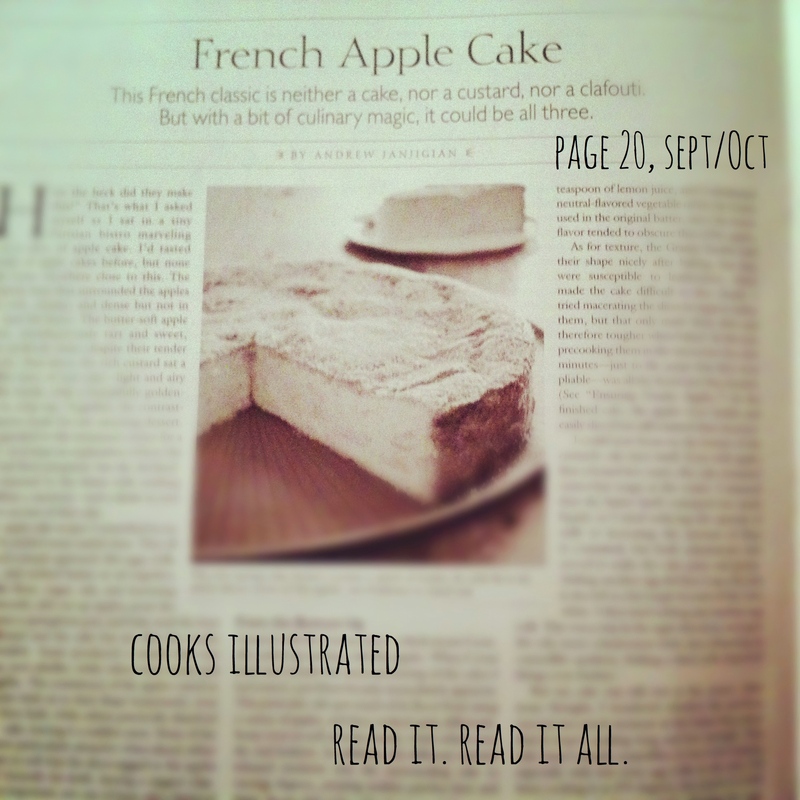 Per usual, couple substitutions from the orig, below’s this HungryTexan’s spin on Cook’s Illustrated’s French Apple Cake. The best trick of this recipe was — zap your apples before you bake ’em! Microwaving them first makes sure their tender, but not mushy. Quick 3 minutes in a glass pie plate. Let them cool and pour in the vanilla & vinegar. While those babies relax, get your liquids whisking in your stand mixer. Start with the oil, milk, and large egg. In a separate bowl, whisk together 1 cup of flour, 1 cup of sugar, baking powder & salt. Add the dry to the liquid and whiskwhiskwhisk. Remove a cup of the batter and set it aside. Then add two egg yolks to your main mixture. Once that’s all wonderful looking, gently fold in your apples. Pour the extra two tablespoons of flour into the mix you set aside. Assemble your baking dish — I used a springform round pan and covered the bottom with parchment paper. Pour the apple mixture in first — make sure you have a nice healthy layer of evenly-distributed apples. Then, you can add the mixture you set aside on top. Look at you! Double layered, you’re doing great. Sprinkle a tablespoon of sugar over the top and pop in the oven at 325 for oh…45 to an hour until it passes the toothpick test. When we sliced it the next day, it definitely passed everyone’s tastebud test! Custard meets cake meets apply yumyums! Plus, it’s the kind of cake you can eat unabashedly with your bare hands. Extra bonus, it’ll make your house full of boys smell like a well-kept home for 3 whole days.